Last October I gathered up a nice selection of yarns and patterns in preparation for my first vacation with my boyfriend. 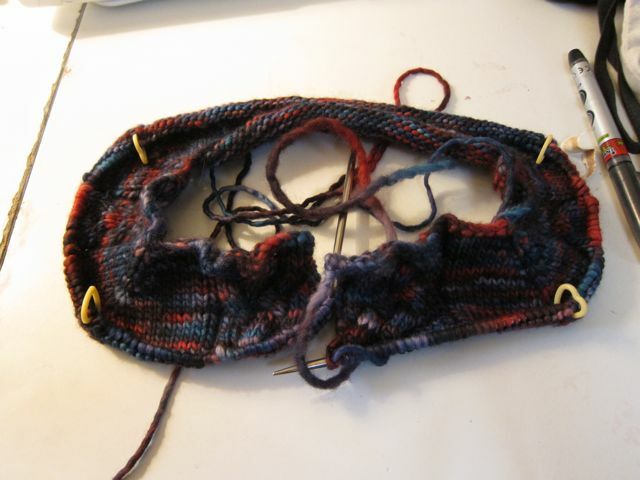 One of those projects was a pair of Alpaca Legwarmers that are already well worn. The other main project I brought was my Blueberry Hoodie. I don't believe that this project has been blogged about yet. 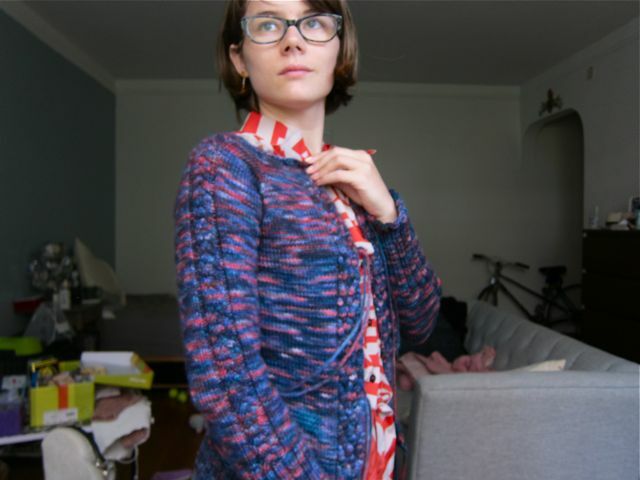 The pattern is Jade by Mira Saarentaus. 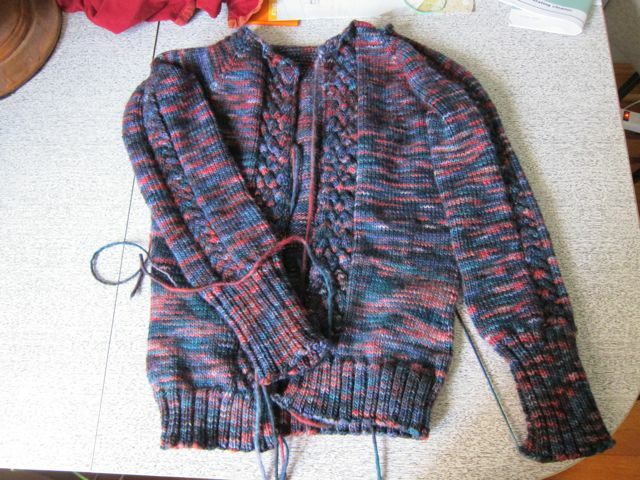 It is a lovely top down cable sweater, but it has become one of those interminable projects. Or at least thats what I thought. This is what I came back from vacation with...barely more than a cast on! I think it sat around for a bit after that, the legwarmers took precedence because they are a more portable project. Eventually I got back to the hoodie though and, just before I moved in May, I completed the body of the sweater, hooray! But then all my knitting went into hibernation, actually since before my move, and I just now made the decision to have another go at it, again many months later. But this tenacious Blueberry girl may yet get a hoodie! Since I picked it up again I have just been flying through the stitches! I don't want to jinx myself but I'm pretty confident I can get this project completed before it's first birthday. Since these photos were taken two days ago I've made serious headway into the actual hood. Once that's complete I just have the button band (dear knitting gods, please please grant me the serenity I need to pick up 360 m*f*ing stitches) and then endless ends to sew! Just a little afterword: I originally called this project my Blueberry Hoodie because of the color. But I've decided its really a hoodie for a blueberry girl (thats me, my boyfriend calls me that because he is always having to roll me out of restaurants and carry me home when I eat too much...). Or perhaps a Blueberry Hoodie for the Blueberry Girl?